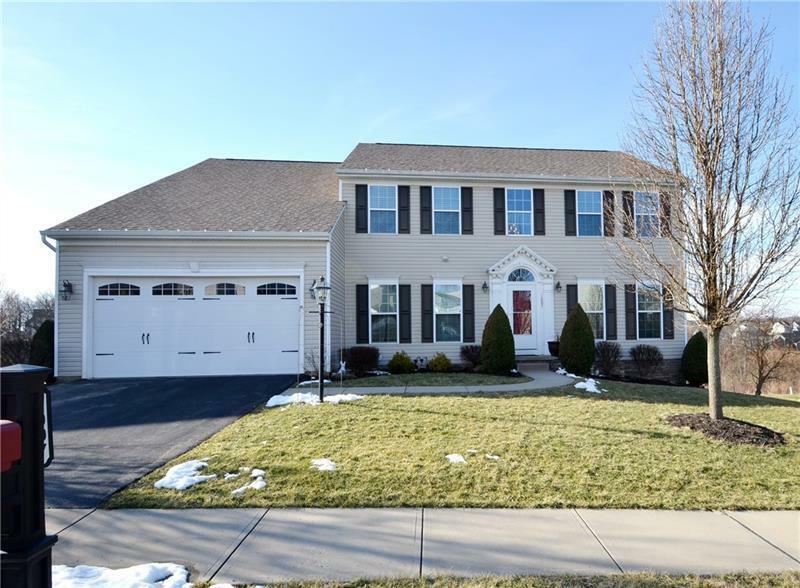 What a cream puff, this is a spacious Courtland w/a 4' ext. 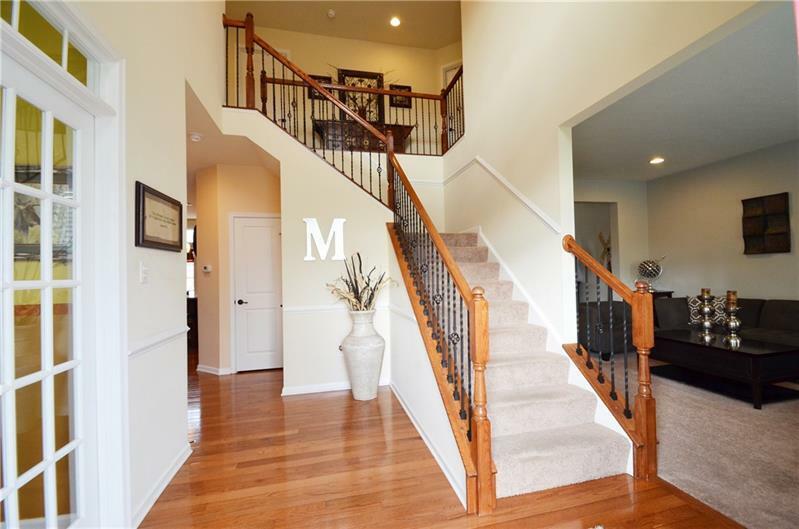 The 2ST wideplank hardwood foyer boasts a view of oiled bronze railings & hardware throughout. Formal LR opens to DR w/custom chandelier. The gourmet island & breakfast bar kitchen boasts hardwood, cherry cabinets, stainless appliances, glass & tile back splash + nook w/slider to new deck. Family rm has marble surround fireplace, surround sound & wall of windows. French doors lead to 1st floor den. Master suite w/tray ceiling & bath w/glass & ceramic soaking tub & shower. 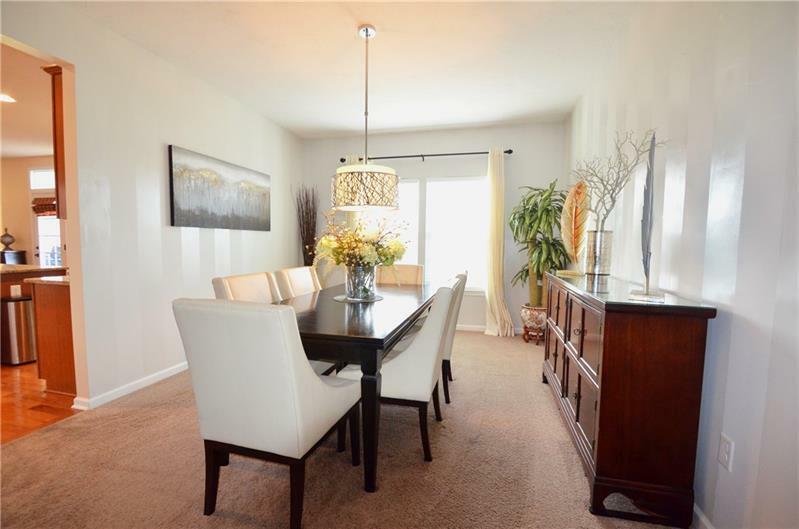 All 3 additional bedrooms have walk ins. Hall bath has dbl basin vanity. Finished walk out lower level includes game rm, bonus rm, BR 5&full bath. Step out to a patio & fenced backyard. 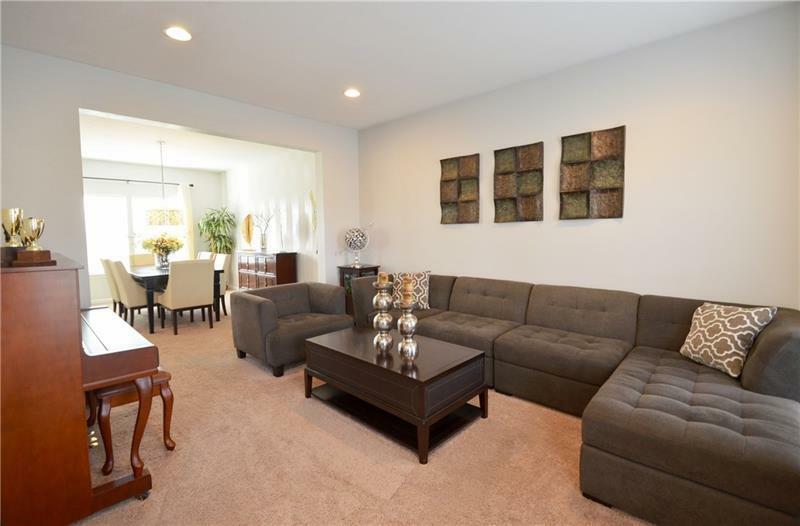 Home is immaculate, neutral & move in ready!